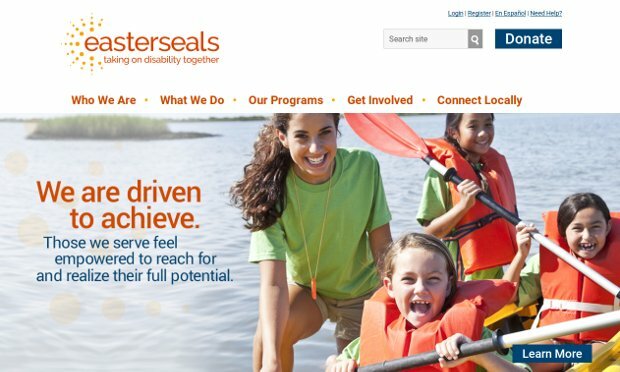 Easter Seals is an organization that helps people with all types of disabilities by providing services for the disabled and support to their families. They do this through a variety of programs that serve all ages in a variety of settings. From therapy to camp programs, Easter Seals does it all when it comes to serving the disabled population and their families. It was the first organization to bring to light help and hope for children with disabilities. Easter Seals has been helping individuals with disabilities and special needs, and their families, live better lives for nearly 100 years. From child development centers to physical rehabilitation and job training for people with disabilities, Easter Seals offers a variety of services to help people with disabilities address life’s challenges and achieve personal goals.